At the beginning of this year, inspired by Sahaj Kohli, I chose the theme of balance for the year ahead. 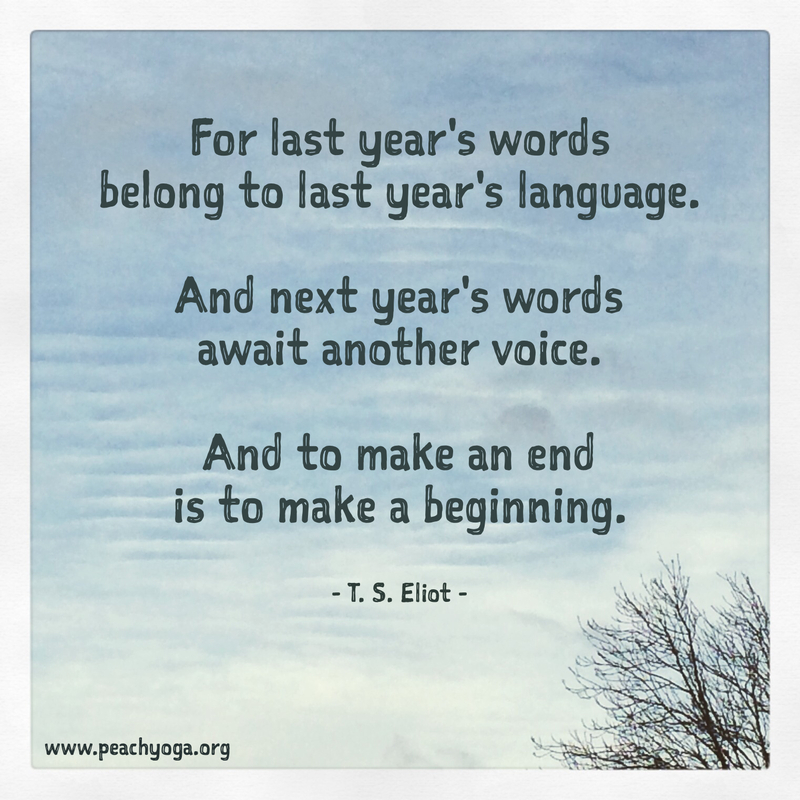 The idea of choosing a theme rather than making resolutions really appealed to me. Specific resolutions are, lets face it, almost always broken and usually focus on depriving ourselves of something. Setting a theme felt more like a vision for how I’d like my year to be. A theme also leaves space for the year to unfold and, as it does, to uncover different ways for that vision to be realised – in the form of things you may not have come up with on the 1st of January. 2014 was an incredible year for me involving getting married, exploring Japan on our honeymoon, my husband being made redundant then finding a great new job, and an epic holiday in the USA. It followed another huge year in 2013 involving buying a house, planning the wedding, and starting a new job after 5 years in my previous one. These were all positive, exciting things, but they also involved stresses and anxieties, and lot of energy and planning. By the time 2015 came along I was pretty exhausted and needed to settle for a while into our new life after all these changes. I wanted to balance the excitement with some calmness, the busyness with some down-time, the tiring commute with some energy, and evenings of collapsing in a heap on the sofa with some quality time outside of work. What did balance look like? A couple of online courses to do on the train, to maximise the time on my long commute. One of these courses was ‘positive psychology’ where I learnt about the science behind positivity and ways to change my mindset when I get lost in low moods. An 8-week yoga therapy course for the mind, to take care of myself and reconnect with my body. Finding a yoga class that I love, right around the corner from my office (after a year or so of trying a series of big central London classes that really didn’t work for me). Starting and maintaining a regular yoga self-practice at home. Planning my evenings out with friends so they coincided with the following day working from home, to help manage my energy. Researching, registering and finally beginning my yoga teacher training course, aiming to build a balanced life in the long-term by combining my office-based day job with yoga teaching for a more holistic approach to my career. So did I achieve balance? Well, like I said, I set balance as a theme rather than a resolution. I’m not convinced you can ever ‘achieve’ something like balance – it’s more of an on-going process, a conscious movement towards a vision. What I achieved was the ability to prioritise things that make me feel balanced. There’s certainly more I could do to create balance in my life. The things that come to mind are more time in nature, reducing the hours I spend in my office job, more date nights with my husband, and seeing more of my close friends. So those are a few things for me to bear in mind in 2016. But I’ll be choosing a new theme for the coming year. I haven’t quite decided what it will be yet – I will wait until New Year’s Day and choose my theme then. What word comes to your mind when you think about a vision for the New Year? I’d love to know how you get on if you try this for 2016. I loved this Beth – I’ve been thinking about it all month, and settled on a theme of ‘valuing people’, both in my personal and professional lives. I have decided on compassion for my theme for 2016. I spent too much of 2015 feeling despair and outrage at the behaviour of mankind so not only making myself feel miserable but also contributing to the pool of negativity in the world. I remember a French philosopher (name escapes me) saying that to understand all is to forgive all. So I will try to understand what makes us so misguided and lacking in insight rather than judging and condemning. Wow so much food for thought there. Inspiring. I am so proud of my wise daughter! I think it is a great idea and will ponder on what my theme for 2016 will be.